At many JPG weddings, the sun goes down and the party begins. 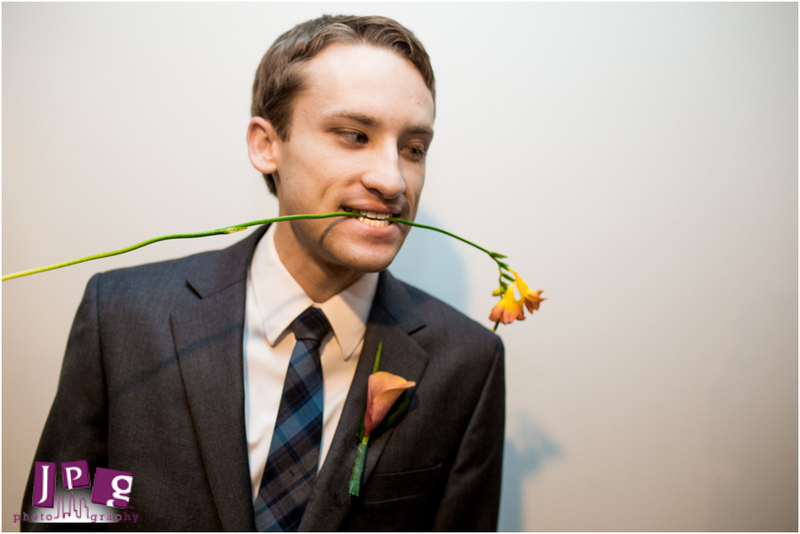 But who says every wedding has to fit the mold? 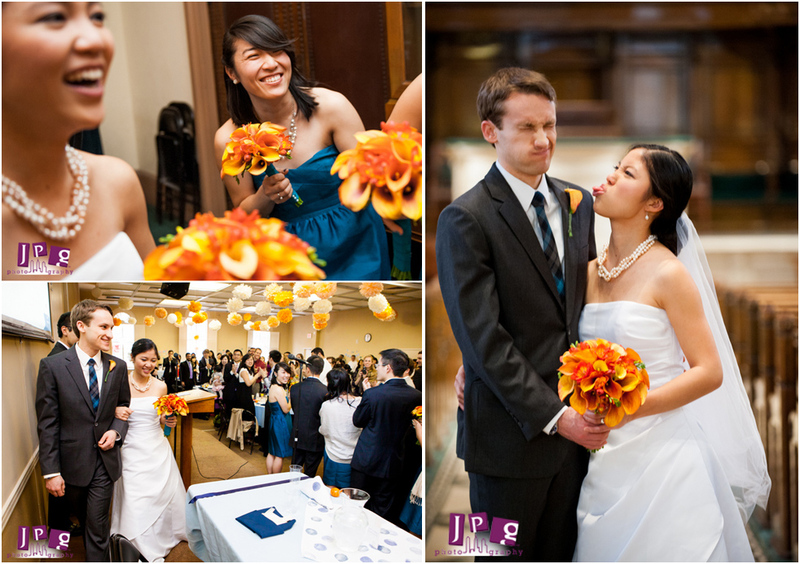 Anne and Matt had a gorgeous morning ceremony and reception brunch at Tenth Presbyterian Church in Philadelphia. 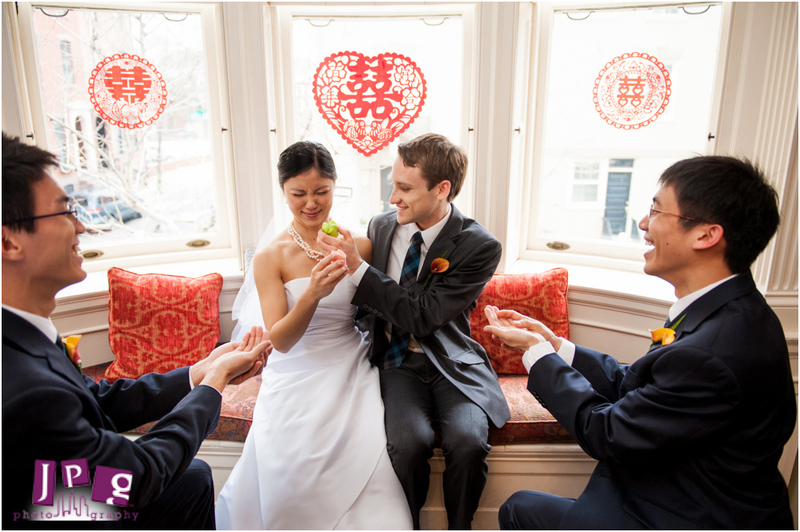 The couple included a Chinese tea ceremony in their service. Afterwards, they shared a delicious brunch feast of french toast, sausage, potatoes, yogurt, granola and omelets-to-order from Day by Day, one of Anne and Matt’s favorite brunch spots in the city. If you think you need drinks and a dance floor to have fun, think again! 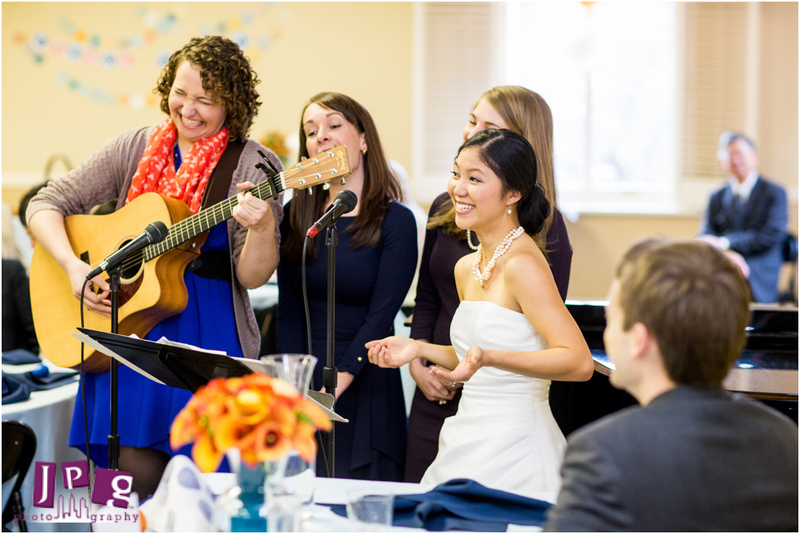 The couple’s musically talented friends offered performances, and some of them even put together a surprise flash mob where they sang Ingrid Michaelson’s “The Way I Am” during the reception. Anne was shocked and smitten–Matt was just as delighted when Anne surprised him with a special song by her a capella group! 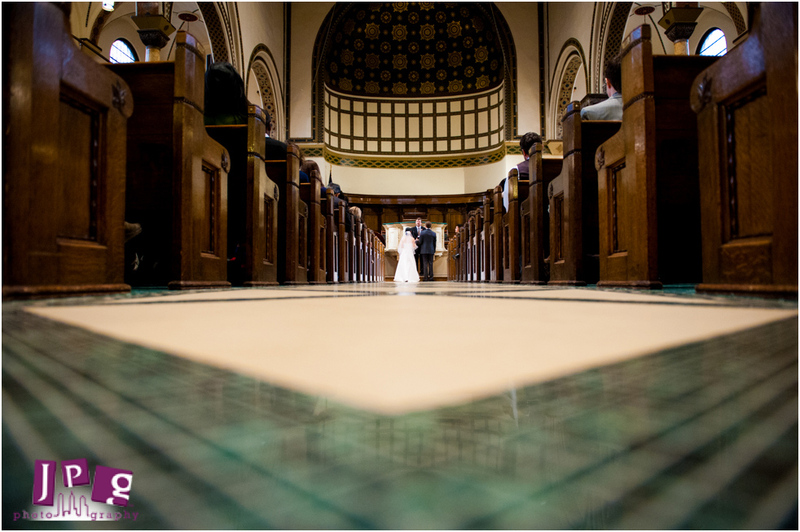 We could feel the love surrounding this couple on such a special day. To top it all off, there was plenty of farm-fresh ice cream from Woodside Farm Creamery in Delaware! Yum! Anne and Matt, thanks for having us there with you to document this lovely morning wedding. May you have all the best as the sun rises on this new phase of your lives.